Well, here I am at my writing post on the afternoon of the Ides of March. That’s a date that proved to be a real bad one for Julius Caesar but hopefully will be benign for yours truly. 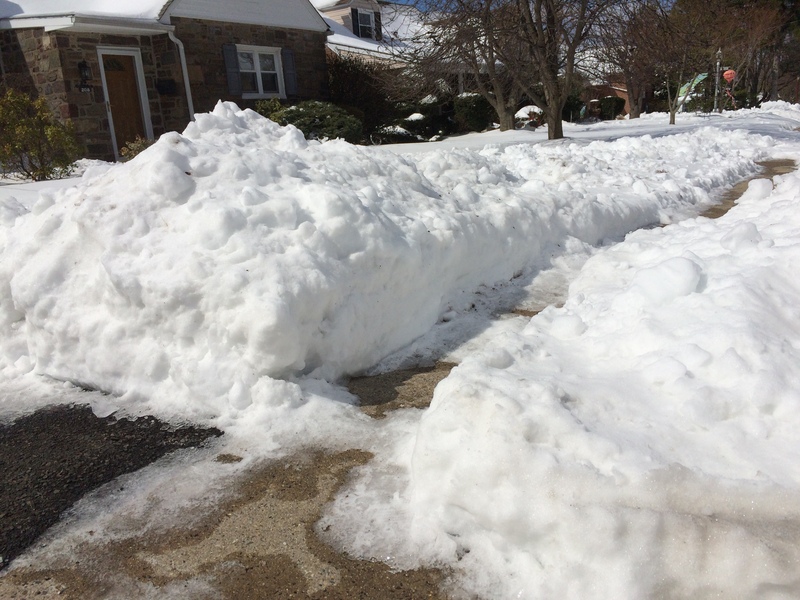 It’s cold outside, as in 23°F, and my suburban community is weighed down with billions of tons of icy snow that fell from the heavens yesterday. This white stuff is so dense it won’t be going away anytime soon. There’s nothing like a late winter storm to disrupt gleeful thoughts of approaching springtime. Yippee-yi-o-ki-yay, baby. California Stars came out in 1998 on the Bragg/Wilco album titled Mermaid Avenue. Mermaid Avenue is the result of a project that Nora Guthrie (Woody Guthrie’s daughter and Arlo’s sister) put into motion. Her father, who bid adieu to Planet Earth in 1967, had left behind scads of completed lyrics that he hadn’t gotten around to recording. Their accompanying music might have existed in Woody’s head, but those melodies and harmonies never will be known, as Woody was unable to notate music. Nora asked Billy Bragg, a British singer-songwriter, to sift through the lyrics, pick those that wowed him and put them to music. Bragg brought the Wilco fellows aboard to help with the composing, playing and recording processes. Now, the entirety of Mermaid Avenue is great. I was left kind of breathless when I first spun the CD soon after its release. But one song in particular of its 15 went straight to my heart. California Stars, of course. And I tell the truth when I say that every time I’ve heard California Stars since then, and that’s probably close to 100 times, its effect has been the same. On a bed of California stars. And warm the lovers glass like friendly wine. On our bed of California stars. Gorgeous, Woody, gorgeous. But to be honest, I’m certain that Mr. G would have been unable to put his words to music as lovely and endearing as that composed by two of the Wilco boys, Jeff Tweedy and the late Jay Bennett (he passed away in 2009). Clearly captivated by Guthrie’s images, they found the essential combination of notes to encase the lyrics in. Seductively childlike, their work allows Woody’s poem to rise into the clouds and beyond. And that’s where the song takes me whenever I pay it a visit. A short while ago, in the name of research for this piece, I listened five times to California Stars. Talk about multiple pleasures. And, as if the lyrics and music aren’t fine enough, I began to think that the song’s arrangement and instrumentation and Jeff Tweedy’s lead vocals are the keys to its star power. That’s a discussion that undoubtedly would go on for days, maybe eternally, among the song’s devotees. I mean, Jeff Tweedy was born to sing this song. He’s a salt of the Earth kind of guy who quietly burrows inside lyrics, finding their core — loneliness or optimism or whatever the case may be. He does this straightforwardly, unaffectedly, an approach that in his hands is right on target. In California Stars, loneliness and optimism are entwined in Guthrie’s vision. Tweedy does the words proud. Looking down at my star bed this afternoon I flowed with Tweedy’s calm voice. And I rode the gentle waves formed by a yearning and shimmering lap steel guitar, a grinning piano and a bobbing electric bass guitar. And when a fiddle started fiddling joyfully for a few seconds after the second stating of the second verse, I drifted even higher. Miraculously, those instruments touch the skies more than they might have. The elemental drumming pattern that Ken Coomer sagely locked himself into saw to that — a steady and unbroken string of thud-thuds never sounded so good. Sometimes things come together in mysteriously ideal ways. That is the story with California Stars. Whenever California Stars draws to its close, as it inevitably must, it takes me a few moments to gather myself. I open my eyes (they’d been shut, you dig, the better to float) and begin my return to what passes for reality. And as this story too now nears its conclusion I’ll add another thought about endings: When I’m on my way out, breathing my last, I’d like to be serenaded with California Stars. The Mermaid Avenue version, needless to say, as there have been others in its wake. That’s the way to go. Such Woody Guthrie fans we are at my house. Now revisiting California Stars, thanks! Hi, Fran. California Stars is always worth listening to. Thanks for reading this story. CB, I’m glad you liked this piece. I’m going to have to track down the documentary one of these days. Haven’t seen it. Loved the piece! Haven’t seen the doc for a while (revisit time). Just gives you the story behind how it happened. It just surprised me that these particular people, Nora, Billy and Wilco got together to do this and the magic that was made. I’d been a Woody guy for a long time and thought I knew quite a bit about him. Knew of Arlo of coarse then Nora shows up and pulls this off. Thanks for the reminder. Beautiful song. I knew I had heard a version recently and it’s been bugging me all evening and now I’ve remembered. It was a lovely live performance by the duo Folk Uke: Arlo’s daughter Cathy, and Willie Nelson’s daughter, Amy, done in June 2016 and found on You Tube. Thank you for explaining the songs origins. No wonder it is so good. Hi. Thanks for your comments. I’ll check out the version you mention. I didn’t know that Arlo’s and Willie’s daughters had formed a band. What a great song!!! Like you, I’m listening to it again…. Thank you for introducing me to this body of work — I love a day when I learn something totally outside the box of my routine. I can see how you are so fond of this song, especially when the snow is stacked up outside. Glad too that Billy Bragg was able to rise to the challenge when given the call. Beautiful lyrics – The song I want to go out to also features stars (probably a common theme) but I’m going to keep that one to myself! Hi, Alyson. For sure, stars and the night sky have captured the human mind and emotions for countless thousands of years. I like the song. It’s catchy and has such lovely lyrics. But I’m biased, because I’m a California girl. Thanks for sharing. Hi, Maya. I appreciate your dropping by. When it comes to California, it’s OK to be biased! Hello Neil, Great song. I have a grandson born in California. I don’t get to see him often. A favorite song for the mood is California Blue by Roy Orison. I’m signing off to play it now. Hi, Jerry. Roy’s song is real good. I imagine that California was the inspiration for a lot of tunes. Wonderful song! I’m a huge Wilco fan and will have to pick up the albums they did with Billy Bragg. Hi, Lori. Wilco has made a whole lot of terrific music over the years, as you know. I always loved their album Summerteeth. Haven’t listened to it in a long time, so I’ll pull it off the shelf and give it a spin very soon. Good choice. Yankee Hotel Foxtrot is my favorite. I do love me some Wilco. Hi, Anthony. Me too — Tweedy and company have been doing great things for years. I only saw them once live, but they were great. Songs from the gut. I am also a fan of California Stars. Have it downloaded and listen to it regularly. One of the things about digital music is there are no album jackets or CD covers to look at, so I had no idea Wilco was involved. Hi, Ken. One of the very good and unexpected things to happen in the last few years is the popularity that vinyl records have found. With all this vinyl, artwork and liner notes are back! Never heard of California Stars but thanks for the click . ……loved it! Good morning, Joyce. Thanks a lot, as always, for reading my stories. Much appreciated. Hello, Andrew. 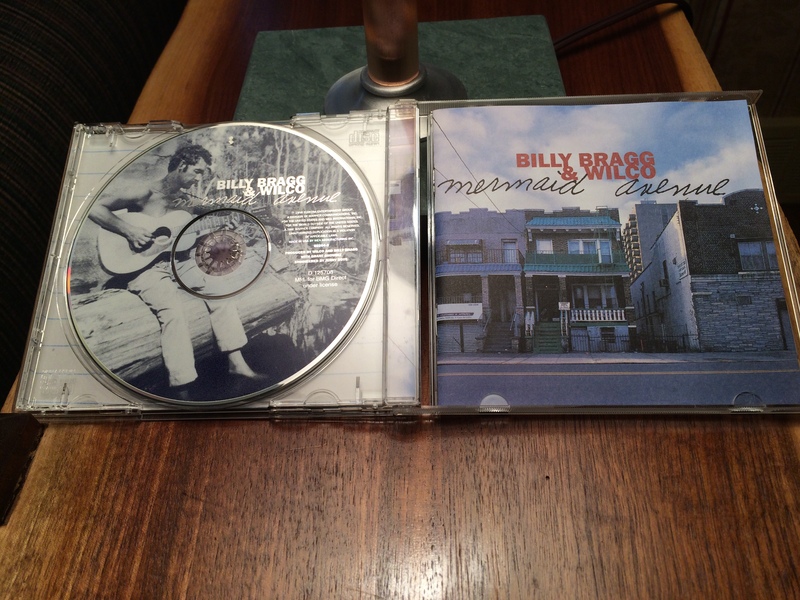 I think that Billy Bragg and Joe Henry made an album a year or two ago of railroad songs. I’m pretty sure that Philadelphia was one of their tour stops. I should have gone to that show. Tonight my wife and I are going with friends to see Peter Mulvey. I’ve heard good things about him, but never saw him before. Are you familiar with him? I agree wholeheartedly about the album. California Stars is indeed a masterpiece. My only dilemma is wondering if it’s locked in a tie with ‘Ingird Berman.’ Both are so great I had to sit and figure them out. Someday I’ll actually get them both right. Hello Tim. Thanks for stopping by. Another tune I like a whole lot is Way Over Yonder In The Minor Key. Well, yeah. That one has the added benefit of Natalie Merchant. I love her voice. The whole record is brilliant. I know what you mean. I fell in love with California Stars instantly, too. My wife and I had this on a playlist we frequently listened to at night in our backyard under California skies. Now that we’re in Georgia, it’s even more poignant to us. Hi, Kirk. Such a great recording. There’s just something about it . . .
And now I’m hearing California Stars… My Mermaid Ave CD was lost years ago in a former life. So lovely to hear this again. Hello. You know, if you have the time you might want to take a look at the most recent story I wrote. Part of what I write about is a new song called Thinking Of A Place. I have a feeling you’ll love that song. Sorry to fill up your comment box, but I have to tell you that I just went to wikipedia to look up all the other songs — Ingrid Bergman. and Christ for President! Is that today’s song or what! Cast the money changers from the temple and let the carpenter in! Oh, I may have to buy this again… Thanks !